This week's Daily Record column is entitled "A look at legal technology trends for 2012." Every year the American Bar Association publishes a multi-volume report on technology trends in the legal industry (available for purchase here. And, each year’s report offers surprising results and insight into our profession’s use of technology. This year was no exception. The one trend that really stood out this year was the tremendous effect of mobile computing on the practice of law. From the statistics, one thing is clear: lawyers love their smart phones, and iPhones are now ruling the roost. Although smart phone use by lawyers for work-related tasks was up just 1 percent from last year, with 89 percent of lawyers using smart phones, lawyers’ smart phone of choice changed dramatically from last year. Specifically, BlackBerry use declined significantly, dropping from 46 percent of smart phone users in 2011 to just 31 percent this year. The decline in BlackBerry use by most lawyers is likely linked to RIM’s recent corporate struggles. However, interestingly, in spite of RIM’s declining market share across the board, large law firms of 500 and more lawyers continue to cling to the dying brand, with 57 percent reporting that BlackBerrys are their smart phone of choice. Most lawyers who stopped using BlackBerrys switched to the iPhone and the percentage of lawyers using iPhones increased from 31 percent in 2011 to 44 percent in 2012. During that same timeframe, Android use increased by only 1 percentage point, going from 15 percent to 16 percent. Another trend in the use of technology by lawyers was a drastic increase in the number of lawyers using tablets. That percentage nearly doubled, with 15 percent reporting tablet use for law-related tasks in 2011 and increasing to 33 percent in 2012; 91 percent of those lawyers who use tablet devices preferred the iPad, with the vast remainder choosing an Android device. And, it’s not just smart phones and tablets that are fueling the mobile lawyer trend. Lawyers are also abandoning their desktop computers in favor of the more mobile counterpart: laptops. In fact, according to the report, a whopping 38 percent of lawyers have switched to laptops as their primary computer of choice. But the systems of choice that are run on their computers are still PC-based despite Apple’s dominance in the smart phone and tablet market. 86 percent of reporting attorneys continue to use Microsoft products, with only 6 percent preferring Apple products. The other 1 percent used either Linux or another unknown type of operating system. Finally, according to the report, cloud computing use continues to increase, but the adoption rate is far slower than that of mobile devices. 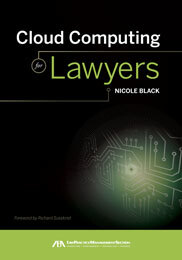 For firms with 500 or more attorneys, nearly 15 percent have utilized some form of cloud computing, with that percentage dropping to 8 percent for firms with 100-499 lawyers. In other words, the use of cloud computing products by large law firms is becoming more commonplace, but we’ve got a long way to go before cloud computing becomes the norm in BigLaw. Finally, social media use seems to be paying off more for mid-sized firms than for large firms, with nearly 14 percent of firms with 100-499 lawyers reporting that social media has resulted in new clients, whereas only 4 percent of firms with more than 500 attorneys reported gaining new clients from their use of social media. So, while lawyers across the board have embraced mobile computing in all of its forms, cloud computing and social media seem to be the least popular of the newfound technologies — at least for the time being. Over time I expect that will change, in large part because: 1) social media is now affecting case outcomes and thus can’t be ignored, and 2) in order to fully realize the advantages of mobile computing, cloud computing tools must be used. For those reasons, I’m confident that, in due time, our profession will come to terms with these emerging technologies and will learn to utilize them to their collective benefit. And, in my opinion, the sooner this happens, the better. Nicole Black is a Rochester, New York attorney and the Vice President of Business Development and Community Relations at MyCase, an intuitive cloud-based law practice management platform for the modern law firm. She is also a GigaOM Pro Analyst and is the author of the ABA book Cloud Computing for Lawyers, co-authors the ABA book Social Media for Lawyers: the Next Frontier, and co-authors Criminal Law in New York, a West-Thomson treatise. She is the founder of lawtechTalk.com and speaks regularly at conferences regarding the intersection of law and technology. She publishes four legal blogs and can be reached at nblack@nicoleblackesq.com. Are we seeing a cloud computing backlash? This week's Daily Record column is entitled "Are we seeing a cloud computing backlash?" In my Nov. 7, 2011 column, I predicted that a cloud computing backlash was on the horizon. I explained that the mid-1990s negative response to email was about to occur with cloud computing as well. By way of background, in the mid-1990s, as part of a knee-jerk reaction to the emerging technology of email, a number of bar association ethics committees initially required that attorneys obtain client consent before email could be used, see, for eg., South Carolina (Opinion 94-27 1995) and Iowa (Iowa Ethics Opinion 96-1 1996). But then, in 1999, the American Bar Association reversed that trend — in the face of the overwhelming societal acceptance of email — when it issued ABA Formal Opinion No. 99-413. In that opinion, the committee determined that client consent regarding the use of email was unnecessary. By doing so, the committee implicitly condoned attorneys’ use of unencrypted electronic communications with their clients. Now, in 2012, email is old school and cloud computing is the new unknown — at least for the legal field, although it’s already gained mass acceptance across the board and is the basis for the Internet as we now know it. Nevertheless, despite regular use of cloud computing by the vast majority of businesses, it isn’t surprising that our profession is overreacting to cloud computing just as it did with email. This is so even though cloud computing is inherently more secure than email since with most cloud computing platforms, unlike email, the data is sent via a secure connection, and in many cases, is either encrypted en route or is encrypted while stored on third party servers. In reaching this determination, the MBA specifically cites to the ABA’s Commission on Ethics 20/20 “Issues Paper Concerning Client Confidentiality and Lawyers’ Use of Technology,” dated Sept. 20, 2010. So, as occurred in the mid-1990s, the ethics committees that set the tone for our profession are creating roadblocks to the implementation of a technology, cloud computing, which has already gained mass acceptance in our society. Since knee jerk reactions in the face of innovation and change are the old stand-by for our profession, I’m not at all surprised by this recent turn of events. Disappointed and discouraged, but not surprised. This week's Daily Record column is entitled "NY judge rules public tweets are public." Much has been written about People v. Malcolm Harris, a criminal case pending against an Occupy Wall Street protester charged with disorderly conduct based upon allegations that he disrupted traffic on the Brooklyn Bridge while protesting. In part, the reason for much of the attention is that it turns out Mr. Harris had a Twitter account, to which it is alleged that he posted about the protests as he was protesting. And, not surprisingly, the prosecution is very interested in gleaning information from his social media postings about his whereabouts and activity around the time of his arrest. Accordingly, a few months ago, the prosecution served a subpoena on Twitter, seeking access to information related to Harris’ Twitter account. Harris’ then moved to quash the subpoena, but his motion was denied on the grounds that Twitter owned the data and thus Harris lacked standing to challenge the subpoena. Following that decision, Twitter then moved to quash the subpoena and on June 30, New York City Court Judge Matthew A. Sciarrino Jr. issued ruled on Twitter’s motion to quash in People v. Harris, 2012 NY Slip Op 22175. So, contrary to the assertions of some who have commented on this ruling, from the language of the decision, it appears that direct messages, which are private messages sent between two individuals and are thus akin to emails or texts, were not sought by the prosecution. The only data sought by the prosecution was Harris’ public tweets and his user information. I think the court’s analogy is particularly applicable to Twitter, as opposed to other social networks, since tweets from unprotected accounts, which make up the vast majority of Twitter accounts, can be read and accessed by anyone who chooses to view them. This is true regardless of whether a Twitter user follows or is followed by the person viewing the tweets. In other words, unprotected tweets are public messages relayed to anyone with Internet access who cares to view them. After holding that public tweets are public, the court held that pursuant to the operation Stored Communications Act (“SCA”) (18 USC §2701 et seq. ), all content requested pursuant to the subpoena that was more than 180 days old would be turned over to the prosecution, but any data less than 180 days old would require a warrant. I think this issue was correctly decided by the court. Don’t get me wrong — I have grave concerns about unfettered governmental access to confidential electronic data stored with third parties and believe that that the SCA is in dire need of revision in order to keep up with the times. 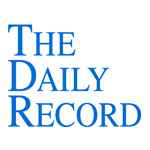 This week's Daily Record column is entitled "New York Judge Rejects Service Via Facebook." I’ve written many times in past about the influence of social media on the legal profession. The proliferation of social media on our culture is undeniable, but until recently, most lawyers have successfully ignored social media, and their decision to do so had little, if any, effect upon their practices. Lately, however, the social media’s impact on the practice of law is inescapable. For years now, a handful of tech-savvy lawyers have been using the Internet and social media to market their practices and network with other lawyers. But more recently, social media has cropped up in litigation, providing fertile pastures for evidence mining. Lawyers are now using social media to assist during voir dire. Jurors’ social media use has resulted in mistrials. And, actions taken using social media are now the basis of criminal prosecutions. Social media is even cropping up at the very outset of cases, as evidenced by a recent decision issued by U.S. District Court judge for the Southern District of New York, John F. Keenan. Earlier this month, in Fortunato v. Chase Bank, no. 11 Civ. 6608 (JFK), Judge Keenan issued a Memorandum Opinion and Order addressing, in part, the defendant’s motion to allow service of process upon the plaintiff by sending her a private message on Facebook and by notifying her using the email address listed in her Facebook profile. This is not an issue of first impression, since this request has been made and granted, in other jurisdictions outside of the United States. In December 2008, an Australian court first allowed service via private Facebook message upon an Australian couple who had defaulted on their mortgage. In February 2009, service was first permitted in Alberta, Canada by publication in a newspaper, forwarding a copy of the claim to the defendant’s former employer, and by sending a notice of the action via Facebook to the defendant’s profile. In March 2009, a New Zealand court first permitted service to be effected via Facebook and email. Service via Facebook has also been permitted for years by lower courts in England, but the English High Court gave the practice a nod in February of 2012, thus essentially ensuring that Facebook service would soon be commonplace. So, for the time being, service by Facebook does not yet pass muster in the United States. Although many other jurisdictions now routinely permit service via Facebook, the United States remains in the minority, for better or for worse. Nicole Black is a Rochester, New York attorney and the Vice President of Business Development and Community Relations at MyCase, an intuitive cloud-based law practice management platform for the modern law firm. She is also a GigaOM Pro Analyst and is the author of the ABA book Cloud Computing for Lawyers, co-authors the ABA book Social Media for Lawyers: the Next Frontier, and co-authors Criminal Law in New York, a West-Thomson treatise. She is the founder of lawtechTalk.com and speaks regularly at conferences regarding the intersection of law and technology. She publishes four legal blogs and can be reached at nblack@nicoleblackesq.com.